The hamate is an uncommon bone to fracture. It is usually a stress fracture, i.e. a fracture that occurs from repetitive contusions as opposed to a singular traumatic event. It is common in sports people who use a bat or a stick such as baseball or hockey. In New Zealand cricket players would be susceptible. This presents with pain in the base of the palm in line with the little finger. This is hard to see on the usual x-rays. A carpal tunnel view may see it, or more commonly a CT scan is needed. Treatment starts with stopping the trauma that causes the injury, if this is not possible or does not work, then excision of the hook is performed through a small cut in the palm. 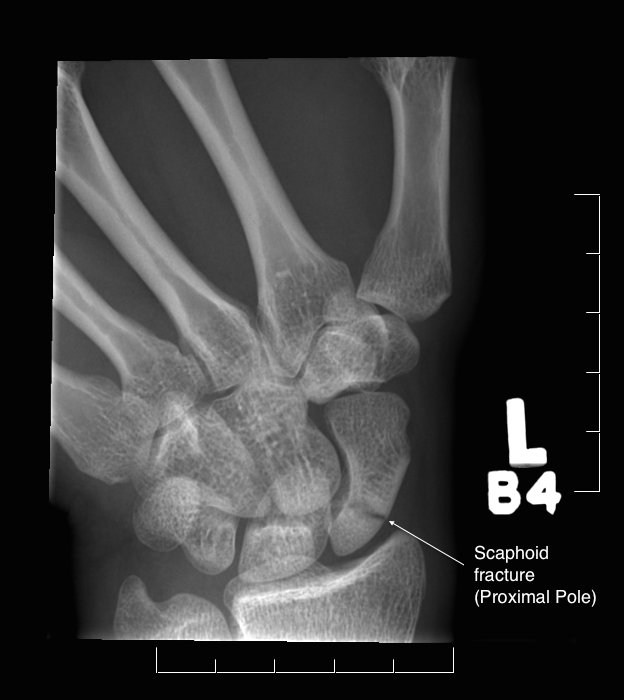 Scaphoid fractures a very common and result from a fall onto the outstretched hand. It is at risk of fracture because it spans from the proximal row of carpal bones past many of the distal row. They are most common in young adults. It is very uncommon for an older person to sustain a scaphoid fracture, as the bones become weaker and are more likely to sustain a distal radius fracture. Fight bites – are both common and very problematic to deal with. A simple tooth wound on the knuckle can become infected very quickly and can lead to multiple operations and significant morbidity unless dealt with aggressively early.